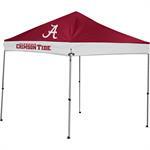 Show pride in your school and stay dry with this NCAA® 9'x9' Straight Leg Shelter by Rawlings. Easy to put together, it features a durable frame and color roller case. Just set it up, fire up the grill and get ready for some football! 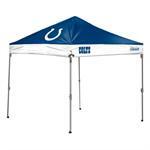 Show pride in your team and stay dry with this NFL® 10'x10' Straight Leg Shelter by Rawlings. Easy to put together, it features a durable frame and color roller case. Host your next tailgate in style!